What underlay should I use with my bamboo floor? If you decide to float your bamboo flooring over an underlay then you must decide which type of underlay suits your needs. 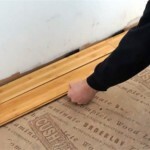 An underlay is a thin layer of cushioning which is laid between the subfloor and the bamboo floor. 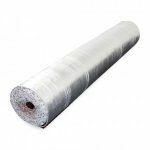 Underlays are typically used for either sound insulation or thermal resistance. 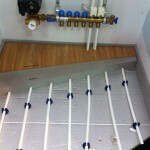 There is also a special type of underlay which is compatible with underfloor heating. This entry was posted in Bamboo Floors and tagged floating bamboo floors, bamboo and underlay, floating floor, underlay on July 7, 2015 by chris elliott. Bamboo flooring can easily be installed over wooden floor boards. You can either secret nail, secret screw or by loose laying it over an underlay. 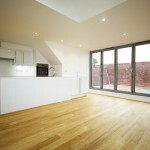 It can also be glued down to the floorboards if they are clean (free from paint, lacquer or oil). Whichever method you choose, you must run the planks of bamboo flooring perpendicular to the existing floor boards. This entry was posted in Bamboo Floors and tagged fitting flooring, gluing bamboo down, secret screwing, floating floor, secret nailing on June 9, 2015 by chris elliott. Bamboo flooring is very versatile and can be installed on almost any sub-floor. Bamboo flooring can be either glued down to concrete or screed, or floated over an underlay. 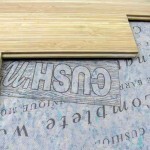 This entry was posted in Bamboo Floors and tagged bamboo on concrete, floating floor, bamboo floor floating, Fitting bamboo flooring on May 19, 2015 by chris elliott.